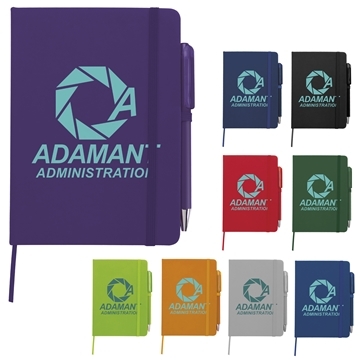 This 5"x7" notebook pen combo is great to throw in your bag when you're on the go! Joy Pen inserted in elastic pen loop. Matching elastic band closure and bookmark. 50 sheets of lined paper.